You are at:Home»Comment»Cameron Naughton»My small way of giving back – from 15,000ft! My small way of giving back – from 15,000ft! So pigs might fly and pig farmers might plummet! We all know pig prices are frequently in free fall. My life in the pig industry has certainly been one big rollercoaster. However, on March 23 I am attempting to achieve both my highest high and fastest down in the space of five minutes. I’m throwing myself (or being thrown, depending on nerves!) out of a plane at 15,000 feet and free falling 10,000ft (gravity will not be denied!) when hopefully someone will remember to open the parachute. If you believe the blurb, I will then float gently to Earth – or land painfully if I don’t listen to the instructor. So why am I doing it? For once, it is neither fear of Muriel nor frustration with pigs that has driven me to such an extreme. 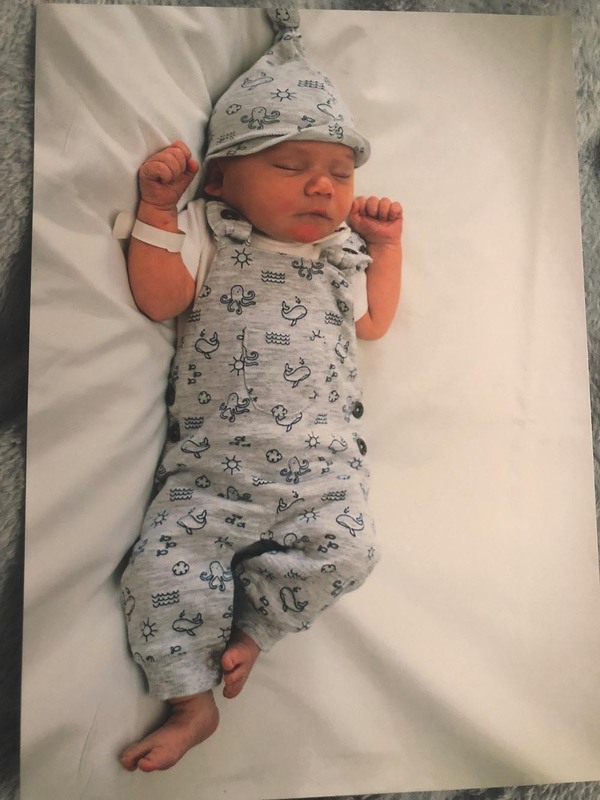 I mentioned in my column in the autumn (Pig World, November 2018) that Jack, the precious baby son of Gary and his partner Chrissie, died from an infection on August 28, 2018, aged just 12 days old. Gary is an important part of our pig team at West End. Needless to say, a tragedy like this puts everything else into perspective and has had a profound impact on everyone on the farm. In a small way, I want to do something to try and prevent other parents having to go through the desperate heartache that Gary and Chrissie have faced. So I am doing a sponsored skydive to raise money for the Bristol Children’s Hospital, where Jack spent the last few hours of his very short life. I know things are difficult in the pig industry at the moment, but I also know it is made up of some of the most genuine and generous people it has been my privilege to meet. So I am hoping that, once more, some of you will feel able to support me in my stupidity. A few years ago, I abseiled down a church tower in a pig onesie to raise money for Christian Aid (many of you were very generous then – thank you). This time I will have to make do with a pig T-shirt as the onesie is so voluminous, we might go up, not down! Many things concern me about the skydive, most of all how sick I will feel in the plane as I get terrible motion sickness. This may, of course, make me keener to get out of the plane! On a positive note, I’ve been assured that the first 14,999 feet won’t hurt at all! Thank you in anticipation for any sponsorship you may feel able to give, which if you can gift aid, even better. Even my landlord is sponsoring me, although I suppose they may have a vested interest in taking out a generation of the tenancy! Anything you feel able to give will be hugely appreciated. The easiest way to give is through my JustGiving page, where you can follow my rapid progress! Visit HERE.